As part of its rebranding efforts in introducing Grab, the transport app company has taken over static sites from Chevron house, Ocean Financial Centre to One Raffles Quay, to showcase its new logo. The spaces has been “painted green” with SPHMBO’s large and bold green wall stickers placed at Chevron House nestled in the heart of CBD area. 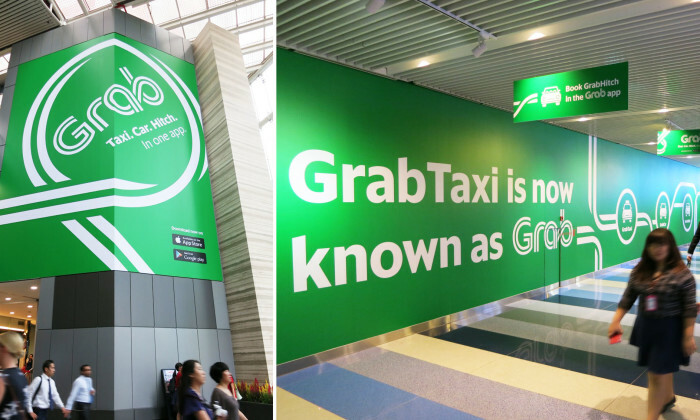 Meanwhile, Ocean Financial Centre is also filled with its vibrant green and core message: “Grabtaxi is now known as Grab” along the link-way connecting Raffles Place and One Raffles Quay. The fresh new brand identity continues to be reinforced at the One Raffles Quay link-way, dominating both parallel walls. According to Grab’s VP of marketing, Cheryl Goh, these spaces complement the company’s online and offline marketing and PR efforts. With this campaign, Grab aims to stand for transport freedom by offering the most transport options available to passengers in Singapore and Southeast Asia. An internal move of CFO taking over the CEO role is not uncommon in certain industries, but for the creative industry, it is quite..